Kaili has been around dogs all her life, and currently shares her furniture with two spoiled Petit Basset Griffon Vendeens. Poor Rover. Your dog was outside playing and now he has a tick or even several of them attached to him. What should you do? Let the tick continue to feed and hope it falls off on its own? Or, should you try to remove it? You aren’t sure you want to touch it, but you sure don’t want to leave it and you don’t want to hurt your dog. Don’t worry. There is a safe and easy way to remove these nasty parasites. But first, some background information. Ticks are members of the spider family. These external parasites feed on the blood of birds and mammals, which would be bad enough on its own. The real problem is that they can carry and transmit a host of “vector-borne” diseases including Lyme disease, Rocky Mountain Spotted Fever, Ehrlichiosis and Anaplasmosis. Birds actually help to disperse ticks, thus spreading these diseases even further. 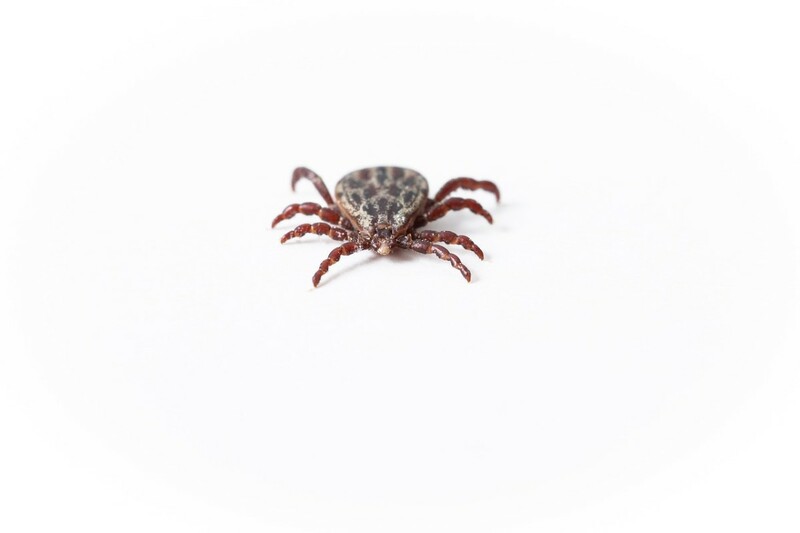 Ticks are quite small when they have not been feeding on a host’s blood, and are usually only about 1 to 5 mm in length. They begin their life as an egg and then hatch into larva. From there, they turn into what is called a nymph before finally reaching adulthood. All stages except the egg stage—larva, nymph and adult—feed on blood. Ticks do not fly, but they are capable of crawling onto tall grass and weeds to await their victims. A dog or a human being wandering through tall grass represents an opportunity for a meal (see photo below). 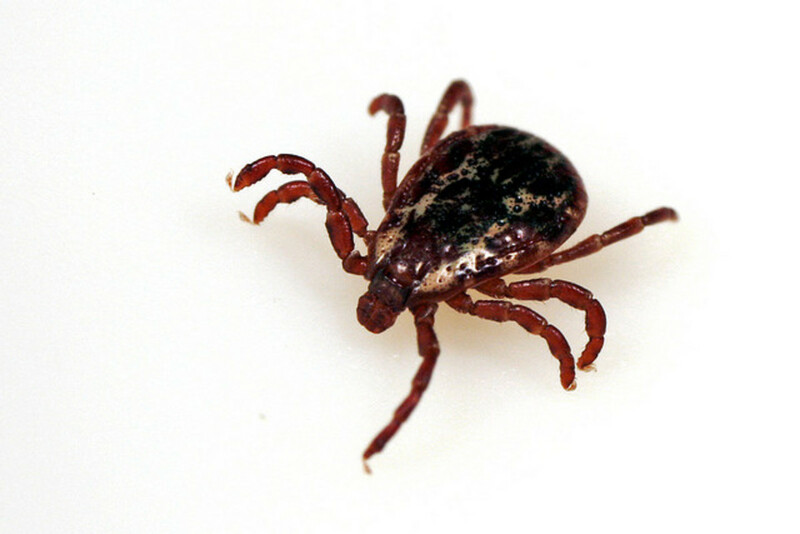 Ticks will crawl onto a person’s shoe or sock, or onto a dog’s face, and begin searching for a place to attach. A dog’s head and face are common sites for them to attach because a dog's head is the first part of the dog to go plowing through tall grass. Even the hairiest of dogs usually have smoother, shorter fur on their faces, making it easier for the tick to attach. Eye lids and ears are also common targets. It can take up to a few hours for the tick to find the perfect spot on its host to attach and begin to feed. Once they attach, they will stay in place for a long time, often days. For this reason, it is important to inspect your pet after every trip outdoors, especially if you have been walking in long grass or bushy areas. Don't forget to check yourself too. As noted above, ticks can carry and then transmit several very serious parasitic diseases. In fact, they are second only to mosquitoes as vectors of human diseases (Companion Animal Parasite Council). Lyme disease, once thought to occur only in areas where deer were present, is now widespread and is found in all 50 U.S. states and every province in Canada. 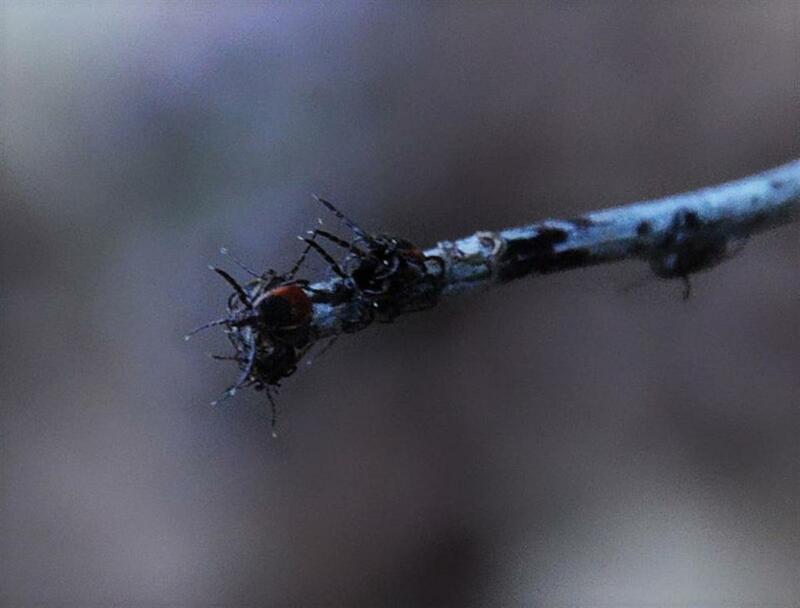 A warmer climate may be at least partly responsible for the population explosion in the “black-legged tick” or “deer tick”. In some areas of Canada, 10 to 50 per cent of black-legged ticks now carry Lyme bacteria. Cases of Lyme occur every year in humans—even in urban areas. In humans, Lyme disease often presents as a “bulls eye” rash, and sometimes people don’t even know they have been bitten until they see the rash. In dogs, Lyme may present as swollen joints, fever and lameness. Often your pet may just not seem to be quite themselves. Use a preventative tick and flea treatment. Check your dog after every trip outdoors. There is a vaccine available for Lyme disease, so you might want to consider that for your pet if you live in an area known to have a large infestation. Have your dog tested annually for all parasites. 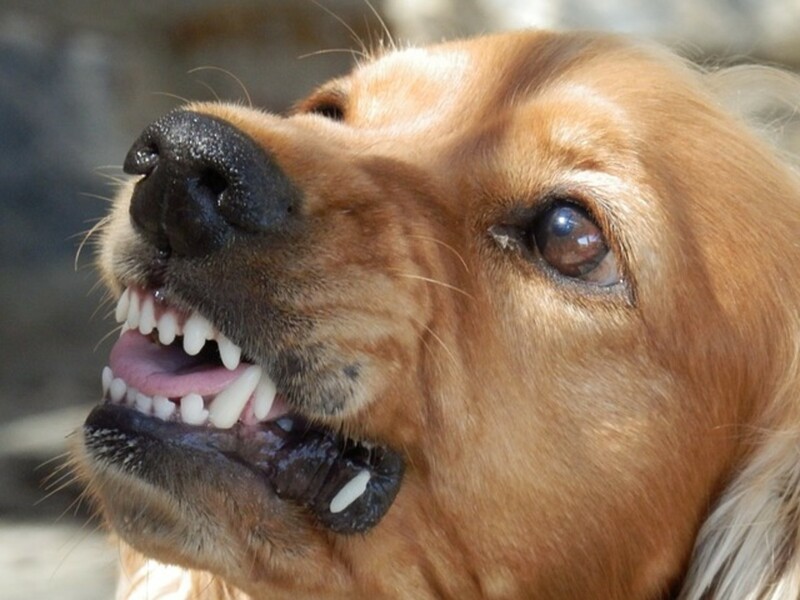 Watch for signs of infection or bumps that indicate that your dog has been bitten. Tweezers are still used by many folks for removing ticks. The problem with tweezers is that people often end up crushing the insect or pulling them apart because the tweezers aren’t in the correct spot. This can mean that the head and mouth remain attached to your dog. Squeezing them can also inject more bacteria into the dog, which is not what you want of course. 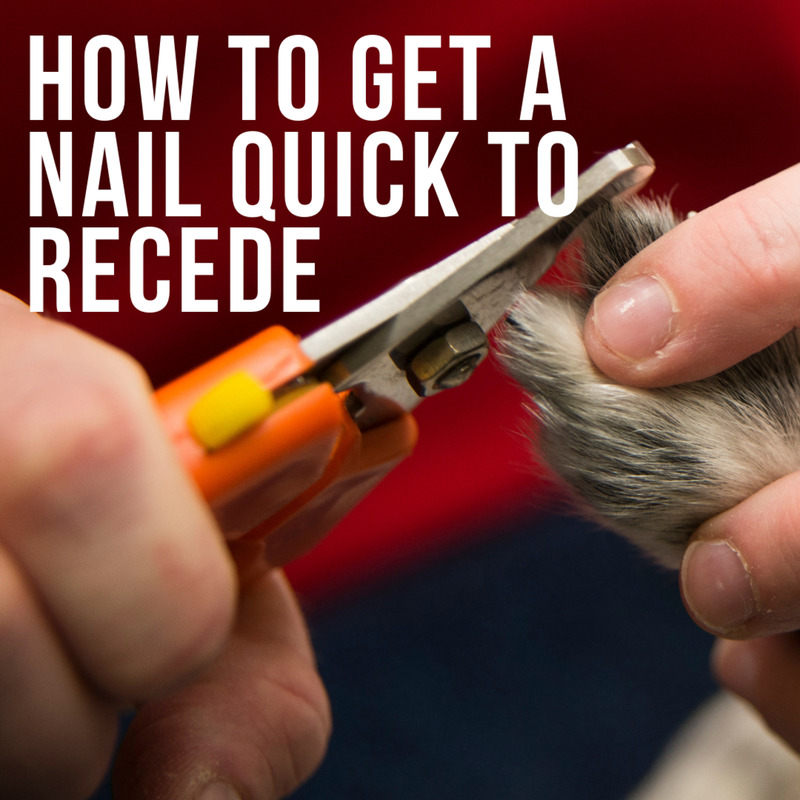 A proper tick remover is a much more effective tool and is far easier to use. There are a few different types on the market and they are typically sold in packages of two or three. The most common ticks in Canada and the northern part of the United States don't push their mouthparts in to the point their heads are buried. Some species of these pests that are more common to the southern United States attach quite deeply, burying their heads so they are quite hard to remove. Slide the claw of the tool under the tick. This is just like using the claw of a hammer to remove a nail. The trick is to make sure the claw is right underneath the tick, so that it is right at the end of the slot in the tool, as far as it will go. Slowly twirl the tool around and around – you don’t need to pull it, just spin it around. The tick will usually come right off after a few spins. Put it in a plastic bag along with a cotton ball that is slightly damp. If it is still alive and is waving its legs around, you likely got the whole thing off without leaving any mouthparts or the head embedded in the dog’s flesh. If it is dead and not waving its legs, you likely missed a part or two, but don’t worry. The dog will be OK. The site is just more likely to become infected, so keep an eye on things and make a trip to the vet if necessary. 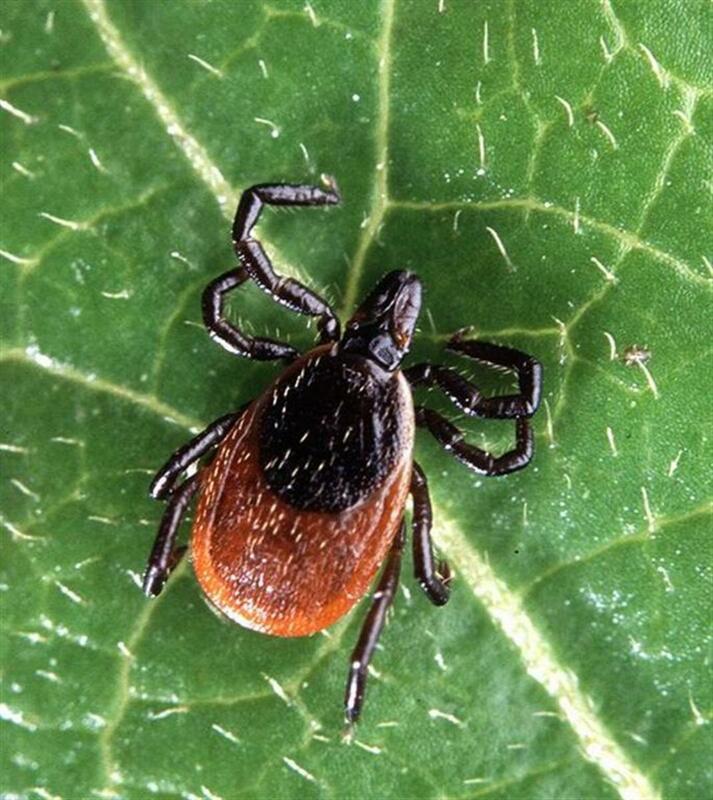 If you are concerned about the possibility of Lyme, you should take the live tick to your vet to be tested. Disinfect the site of the bite with a little soap and warm water. You can also apply a little Polysporin. Bites will leave a welt that can take several weeks to shrink; often a dog will be left with a scar, especially if the bite gets infected or scabs up. If the dog seems itchy at the site, you can also put a little Caladryl ointment on it as long as you can be sure the dog won’t lick at it. Follow the same instructions as for a dog to safely remove a tick from a cat. 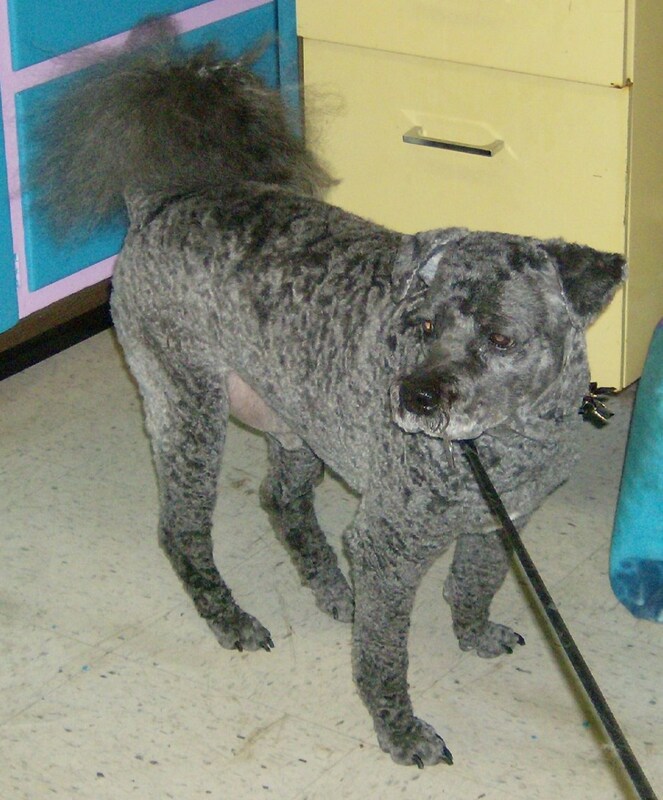 Lessons From a Groomer: What's a Teddy Bear Cut? Hello aa and thank you. You are so right...they are just disgusting! Very useful, I remember a long time ago, on holiday in a nature spot, suddenly realising that our PON sheepdog had about 10 ticks on her. This was the time before Amazon or tick removers, so I pulled them all out by hand, still shiver when I remember the experience. They are one of the most disgusting creatures on earth! Great info. 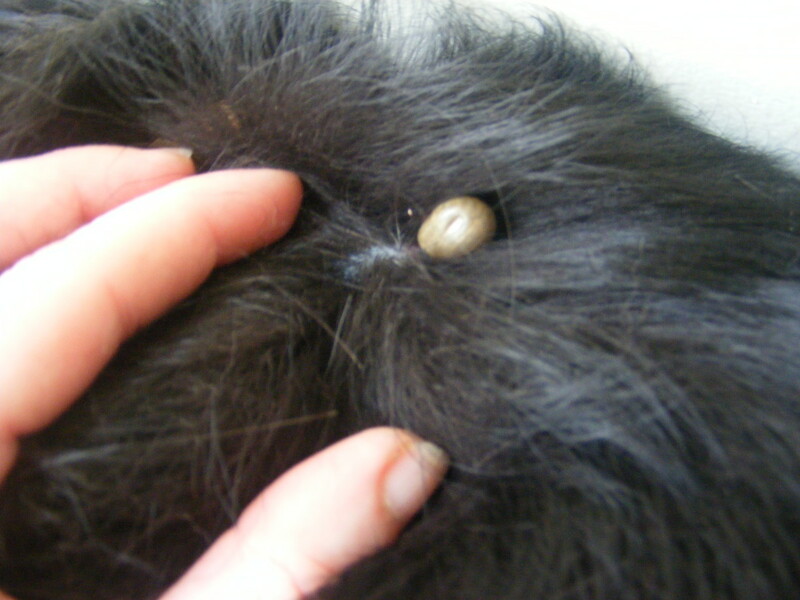 My dog had a tick last summer – it was scary because I felt this bump on his belly and didn’t know what it was at first. Luckily my neighbor helped me remove it. My dog was scared too! I gave him a Healthy Bones treat after to make him feel better and it took his mind off it. Good hub, Kaili...voted up, useful, interesting. My beagle had a tick attached right by her eye, so I took out my Chapstick, covered the tick entirely, and the little varmint unattached to come up for air! THEN, I lifted 'im off and cut him in half with my pocket knife. Hi Bill and thank you. Ticks are dreadful, that's for sure. I'm glad you were able to get that tick off your poor dog. I had to take one off my dog last year. I used a pair of tweezers and then put Neosporin on it after words. It was behind her ear. great advise. Hi vespawoolf...poor doggie! The little tool is really so simple and the tick comes right off. Keep the instructions handy for the next time you are dog sitting! I wish I'd seen this last month! We were doggie sitting and found 7 ticks on the poor little fellow. Your step-by-step instructions are so helpful...I just hope I don't need them anytime too soon. I had no idea there was a tick remover tool! It happens occasionally, mostly to larger birds. Many birds get lice. Hi aviannovice and thank you. You are so right. Ticks are a real menace these days. Please feel free to share this Hub. Have you seen many birds with ticks? Voted up, useful and awesome. Nowadays, this is info that we all need to know and take action on immediately.